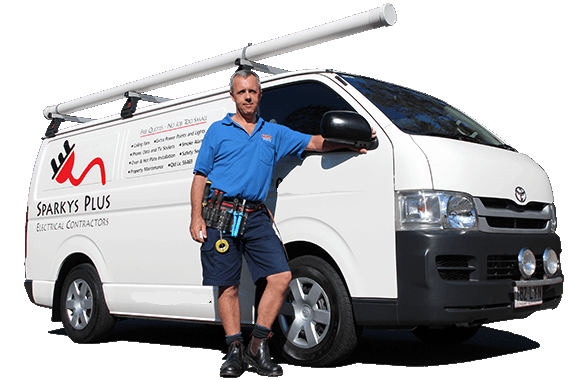 A residential electrician is the type of electrician that installs, administers and repairs electrical problems in private homes. The sort of work that residential or domestic electricians perform ranges from inspecting, repairing or upgrading old electrical fuse boxes to installing ceiling fans or wiring your TV antenna on your roof. The most widely recognized way to becoming a residential electrician is by graduating from a technical course in a reputable trade school or finishing an electrician apprenticeship program. Most electrical technicians learn their skills and techniques by practicing and fulfilling all their requirements during their apprenticeship training. Furthermore, most states require all electricians to hold a current valid license and to be certified. The certification process includes passing exams that test your knowledge and the ins and outs of the electrician trade. These are the step by step instructions on how to become a certified residential electrician. First, finish your secondary education and get your high school diploma. Make sure you get good grades in science and math (algebra, geometry, physics, etc.). Consider taking classes in accounting, business, and management, if you intend to do business on your own. Enroll in a good trade school or vocational school that offers residential electrician courses, training, and specialization. You can find a list of the training schools that offer electrical courses in your state by checking out the list provided at the online website of the NECA (National Electrical Contractors Association) or with the IECA (Independent Electrical Contractors Association). Find an employment or apprenticeship program after graduating from trade school. Another option is to look around for job ads and answer the ones that offer hours of apprenticeship training complete with classroom discussion and paid OJT (on the job) training. You can also find organizations or chapters that offer these kinds of programs that help aspiring residential electricians to hone the theory they learn in school and apply it on the job. If all else fails, look for a licensed electrical technician and arrange to be hired as a helper for tasks related to residential electrician work. After a period of four straight years, ask your boss to sign your endorsement to qualify you for eligibility to become a certified electrician. After being endorsed you must take a set of exams from the licensing agency in your state. Do your best to acquire your hard-earned license. Most of the states in the United States requires a license or certification for this type of work. You must also take into consideration that each state has variations in their posted criteria regarding getting a license from their state. You can also read about it on the NECA an IECA websites where they have a complete listing of their requirements for being granted a certification. To acquire a license, it is important that you surpass the average score set by the licensing agency in your designated state. The exams will cover the entire range of your knowledge about electrical codes and all other subjects that are related to your specialization. Having a license as a residential electrician not only makes you more competitive, it will also bring in more clients who will want to hire you for your services or offer work contracts to you because of your knowledge and possessing a license from the authorized agency of the state. This will also mean you can be trusted to accomplish work and provide solutions for all the residential electrical problems that you may encounter and have full knowledge of how to troubleshoot and repair appliances inside the home. 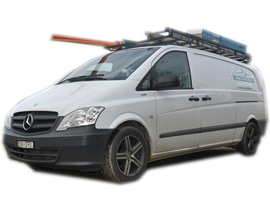 Looking for contractors to do your lighting and wiring electrical services? There are many available and qualified contractors who are up to take this job from your hands. Finding one would be easy in this highly competitive market. You electricians would normally charge lighting and wiring electrical services depending on the complexity of the electrical wiring you have at home and also the number of lights available. If you want to save on your lighting and wiring electrical services, try to keep your wiring’s simple and the number of lights down. You can check out ideas online and in magazines as to how they design their wiring’s and lighting to fully maximize a simple yet functional design. Also, independent electricians may come cheaper than hiring electrical contractors. It is also easier to bargain with independent electricians on the price of their lighting and wiring electrical services. We aren’t saying not to pay your electricians in full for the agreed price on your lighting and wiring electrical services. That could potentially get you a lawsuit. What is meant here is that you try to bargain on getting the best deal out of your electrician or contractor. You can agree on adding more services to the price that you have to pay or cut back on a few dollars. This will put your bargaining skills to the test but your wallet will be much obliged with your efforts. While trying to look for the best possible to save from your lighting and wiring electrical services, do not let the quality of work suffer from your cutting back on costs. Your safety is still of primary importance and it is priceless. No amount of money you save can pay for ensuring the safety of your home and family. The potential amount of the services should be considered. You can actually filter your searches according to your standard, preferences and needs. However, always go for contractors with experience, good attitude and one call policy aside from good deals they offer. This will help you to be wise and save more money for future needs. 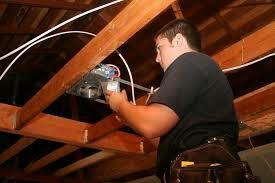 Lighting and wiring electrical services are best done with experts and not with novice workers. If you are going to get repairing services, then expect for lesser cost as compared to installation of lighting and wiring electrical services. However, make it sure that you go to reliable contractors to do repairs. You do not want to get half-baked results at the end. On the other hand, installation of cable wiring’s and fuse is also the coverage of the electrical jobs and this is the most common service that commercial and residential locations mostly choose. Before the installation, electrical companies will ask about your budget and area and from there they will give you the price of the entire project. You can ask for discounts to save higher costs.